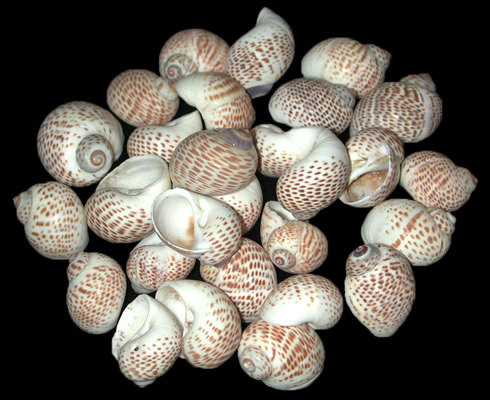 These shells are found worldwide, most in the tropics but a few have been found in the Arctic. They have a one half moon aperture (the opening at the front end of gastropod shells). The shell is hard and spherical shaped. There are more than 100 species belonging to the snail family of shells. Genus: Naticarius. Description The Nautica Lineata belongs to the Naticidae Shell family. These are gastropods, with a short spire with an oval body. 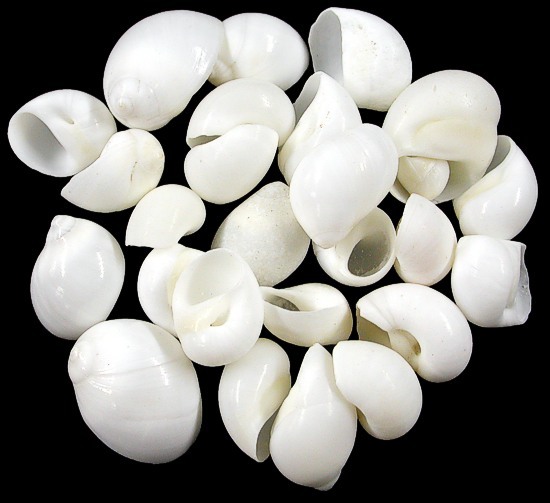 The outside body (whorl) is lined; thereby it is often called the lined moon shell. This species ranges across the Indo-Pacific region from the Indian Ocean east to the northern shores of Australia, New Zeland and southern Japanese Sea. They are a somewhat commonly found species. Description The White Nautica belongs to the Naticidae family. These are gastropods, with a short spire with an oval body. 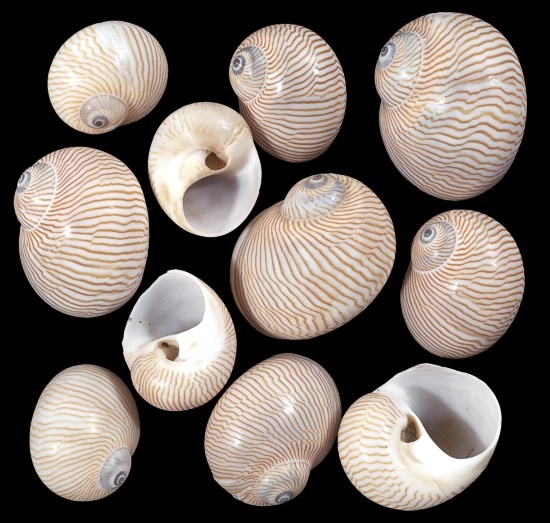 The outside body (whorl) is lined; thereby it is often called the lined moon shell. This species ranges across the Indo-Pacific region from the Indian Ocean east to the northern shores of Australia, New Zeland and southern Japanese Sea. They are a somewhat commonly found species.